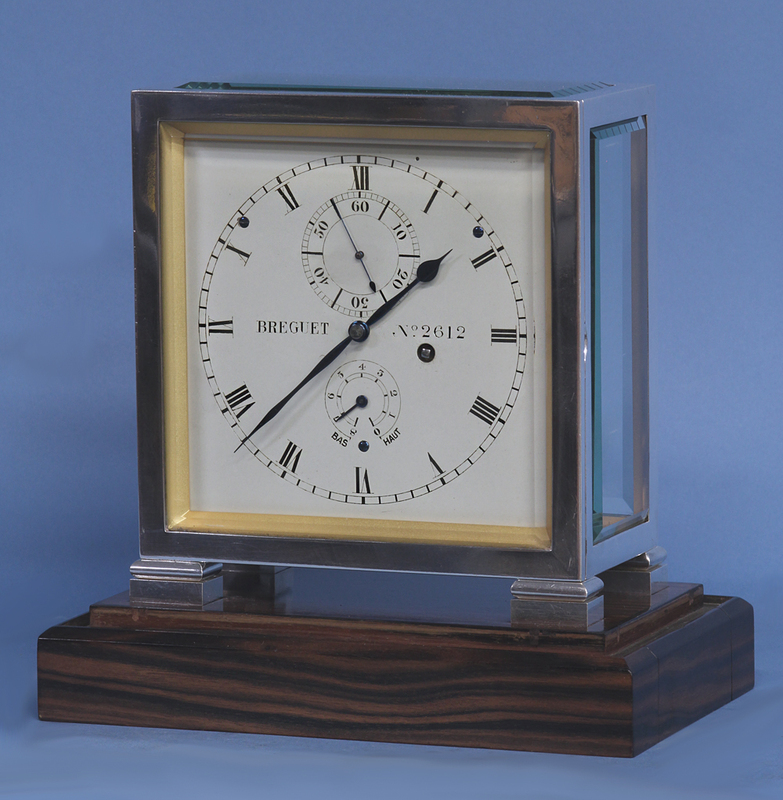 A very rare early 20th century mantle chronometer by the eminent firm Breguet in the original glazed display case. 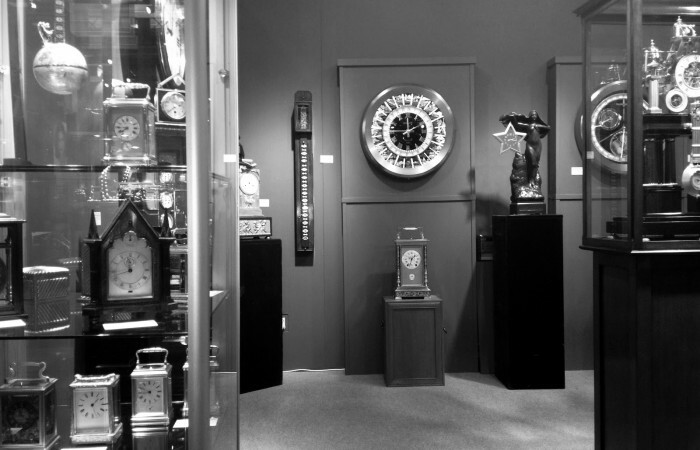 The chrome plated case has thick beveled glasses, a hinged front door and shaped feet. 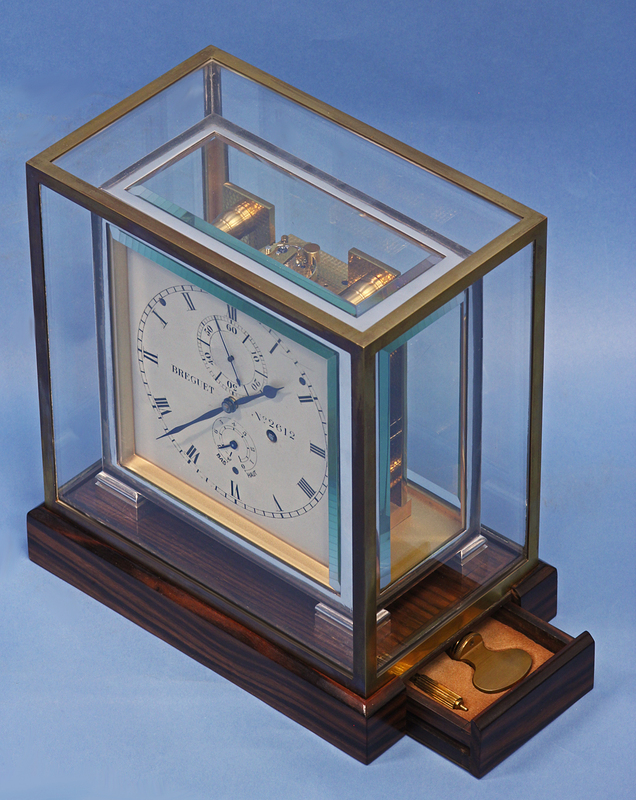 The original display case has an ebony base with a drawer that holds the original ratcheted winding key and set key. 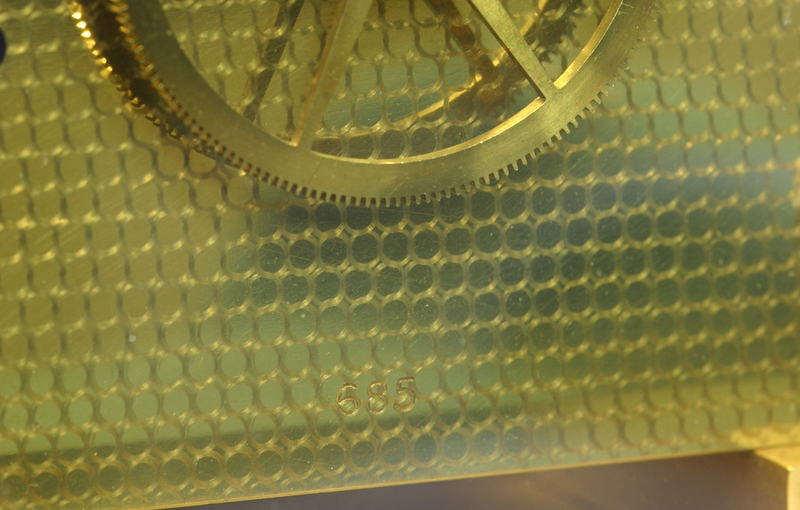 The eight-day time only movement has thick shaped screwed posts, thick damascened plates, a chain fusee and is stamped ‘685’. 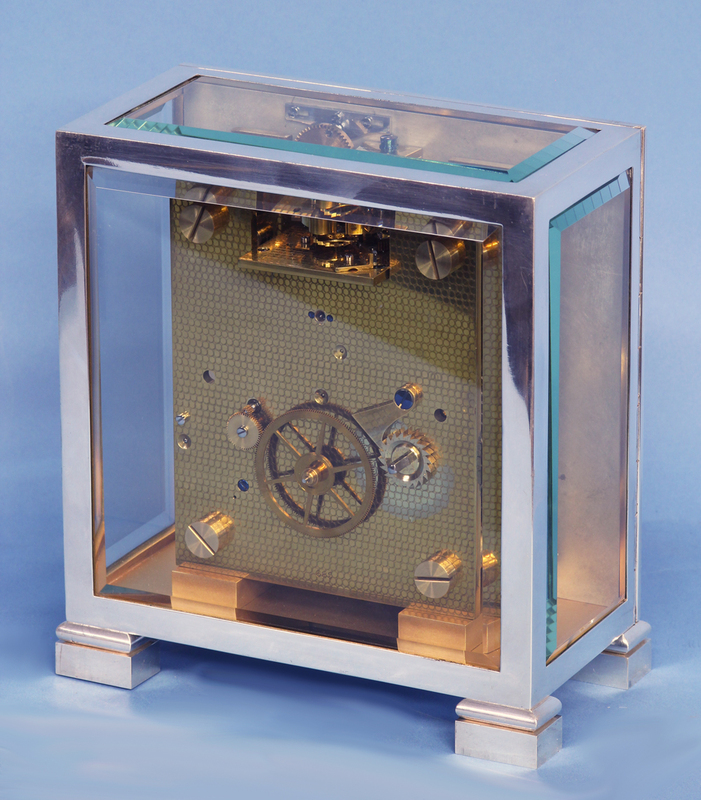 The large horizontally mounted platform has a helical hairspring, a bimetallic two arm balance wheel with middle temperature error compensation and a spring detent escapement. 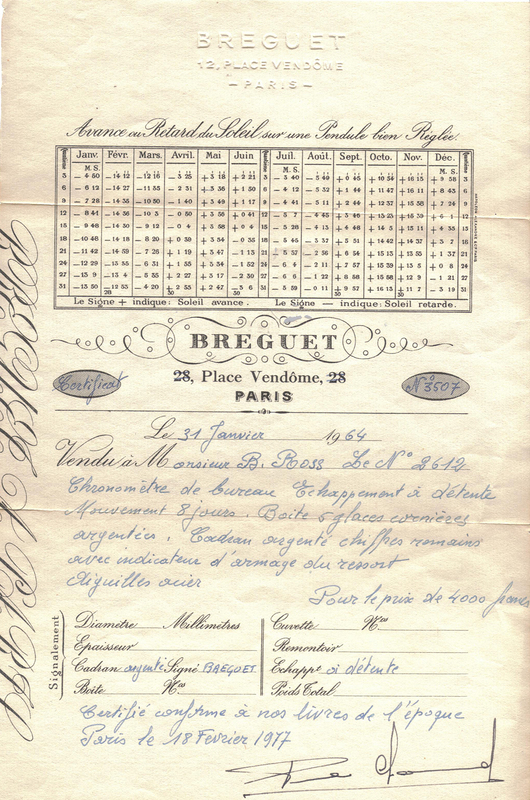 The chronometer is accompanied by a letter from Breguet to Greenberg Rarities confirming a request for a certificate and the actual certificate from Breguet, No. 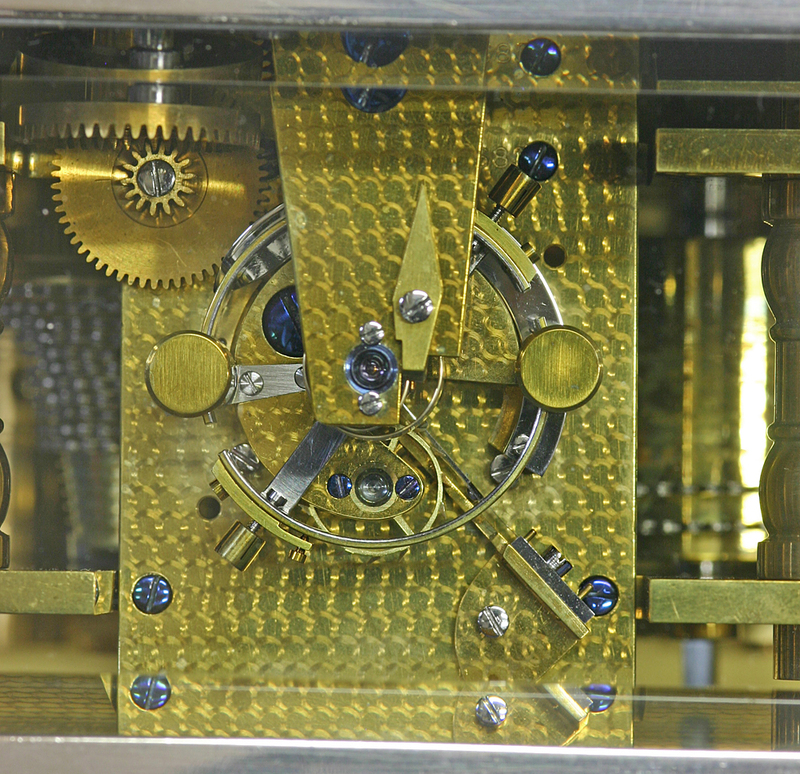 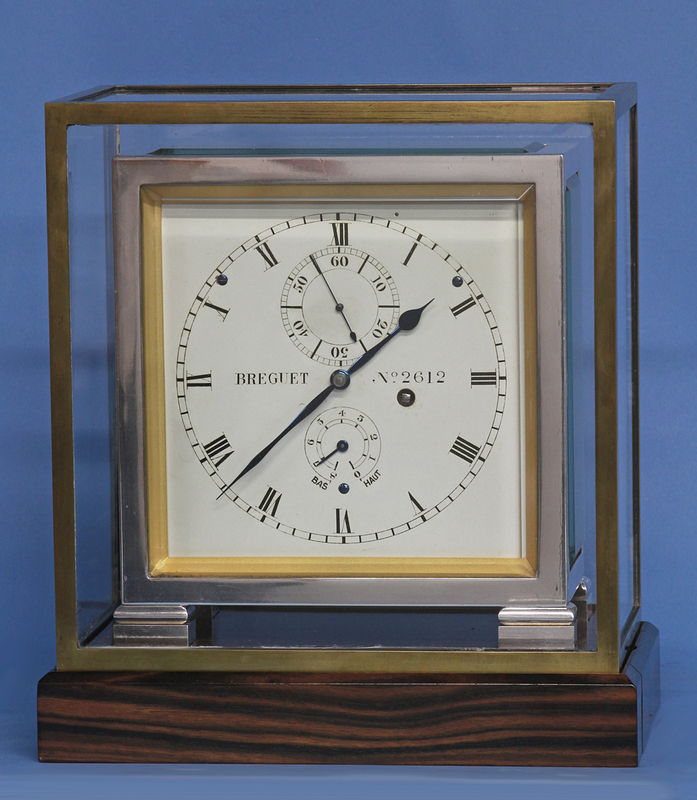 3507, dated Feb. 18, 1977 stating that the clock was sold again by Breguet in 1964 to B. Ross. 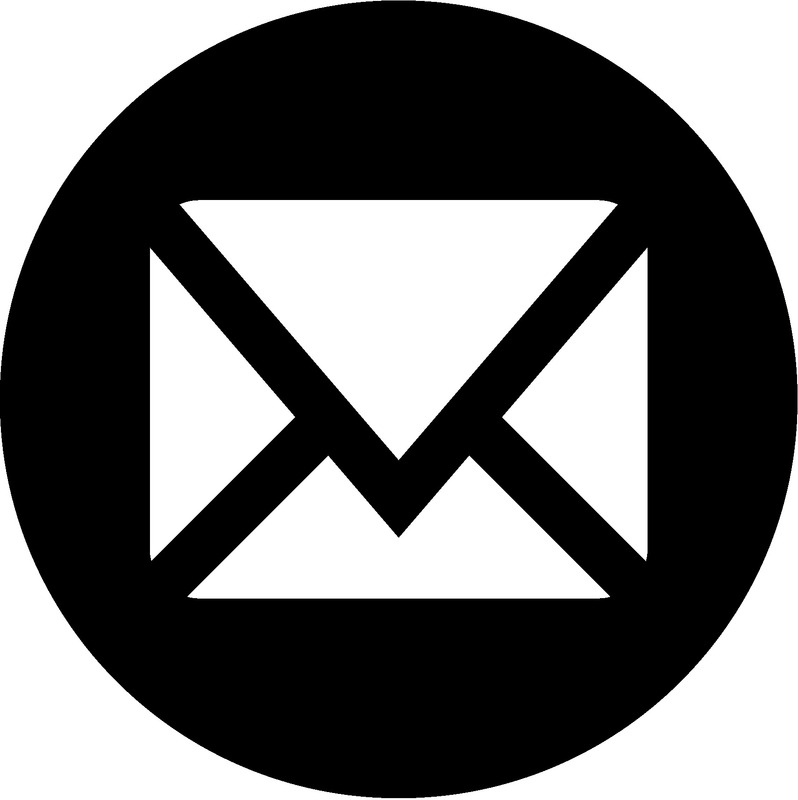 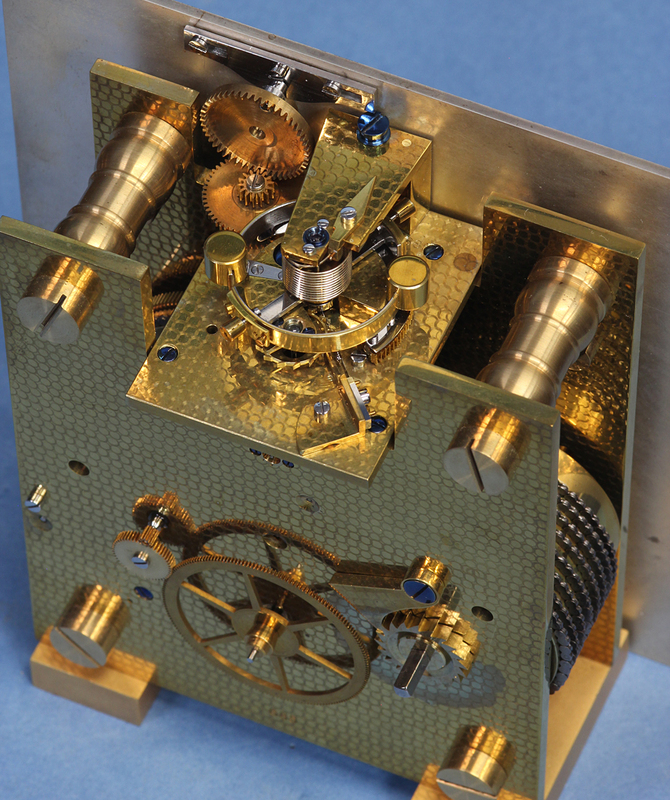 The extremely high quality movement was supplied by Mercer and is stamped 685. 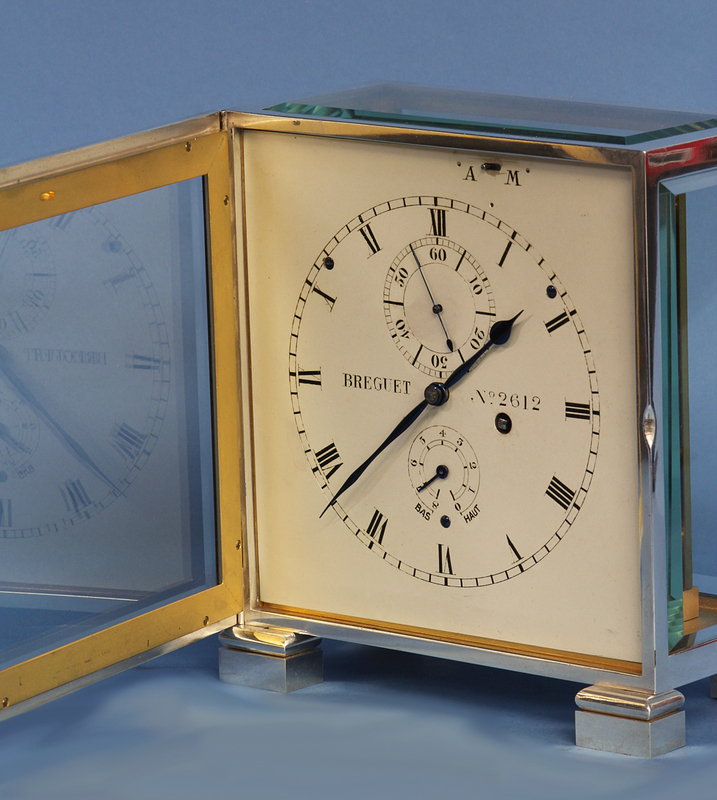 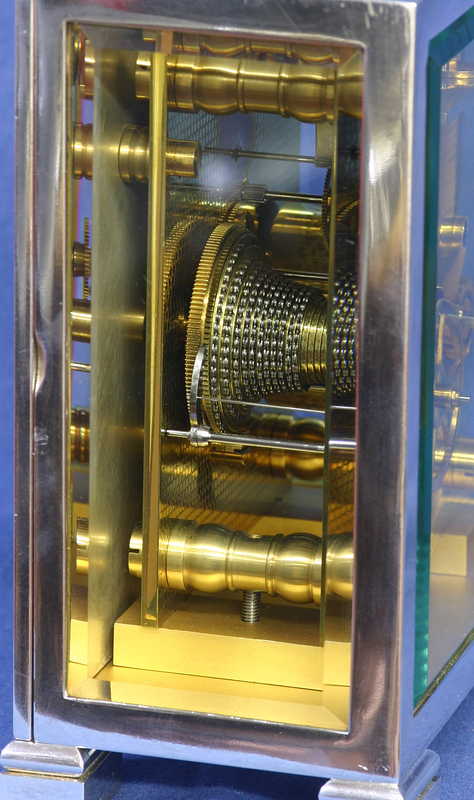 Mercer supplied chronometer mantle clock movements to some of the most prestigious firms including Breguet and Charles Frodsham & Co.
For a very interesting and comprehensive history of Mercer see, ‘Mercer Chronometers, History, Maintenance and Repair’ by Tony Mercer. 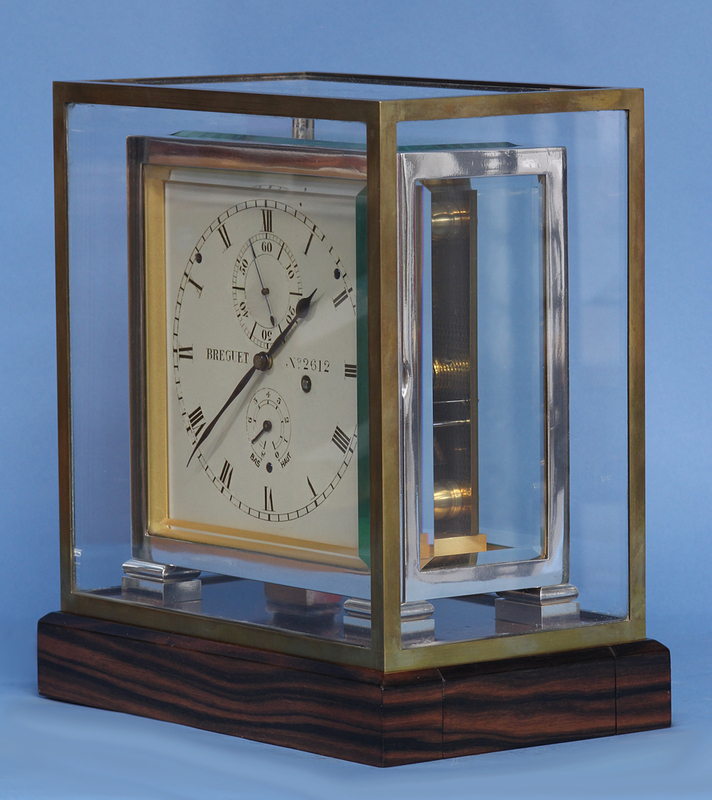 Size: Clock: 7.25in.high x 6.75in.wide.